Managing a growing business is not without its challenges! At the same time your company is growing, so too are your expenses, your staff, and your book work. Neil Buckland from Small Business First, (January 2018) listed his top 5 challenges for SME’s. Many of these top 5 factors relate to a business’s management of resources. The two primary resources that a business has control over is money and time. One thing that can help a business overcome these two controllable variables is Trust U Petty Cash Card. Many businesses currently use corporate credit cards. Whilst corporate credit cards can have low limits, small to medium businesses may not want to give employees the liberty to the company’s resources or risk over spending. Corporate Prepaid Cards is a business that offers expense cards, with greater control and without some of the risks that come with a credit card. A prepaid card can help negate overspending, assist cashflow management and can be easily adjusted. Trust U cards give businesses, the freedom to preload cards with set values and adjust these throughout the year based on business requirement and provide control through staff only being able to spend up to the value loaded on the card. One Trust U client, for example, loads higher values on corporate cards around at the end of the year, so that sales staff can buy gifts for their special clients; and then reduces the values after the gifting season. As mentioned by Neil Buckland from Small Business First, cashflow is the second largest concern for small to medium enterprises. 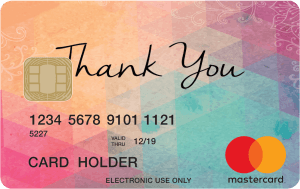 Trust U Petty Cash Cards can help to manage expenditure. Via an online portal, a financial controller can limit how much money goes into the Trust U Cards. This can be completely dependent on and vary with the business’ available cash flow. Managing an influx of new employees to cope with the significant company growth can be a challenge. Trust U Petty Cash Cards can be quickly issued to new employees with allowable spend values easily varied to suit their role and can ramp-up over time as requirements change and employee trust is established. 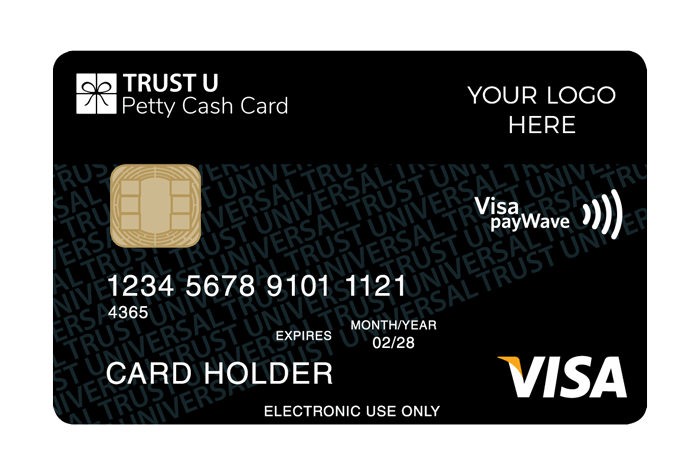 Want to know more about Trust U Petty Cash Cards? You can click here to see a full range of options.